Figure 22.6 from the text shows homologous structures. a. idea that diversity of life had to arise from the involvement of an "intelligent agent"
Figure 22.9 from the text contrasts Jean-Baptiste Lamarck's process of acquired characteristics with Charles Darwin's process of natural selection. Figure 22.14 from the text shows a reconstruction of Lucy, the australopithecine, and footprints of A. afarensis. Figure 22.15 from the text shows human evolution. Figure 22.18 from the text illustrates how Neandertals may have looked and lived. Figure 22.19 from the text illustrates the Cro-Magnons. Definitions from Chapter 22 can be found here. Figure 23.1 from the text show the major terrestrial ecosystems. Figure 23.2 from the text shows the major aquatic ecosystems. Figure 23.3 shows some examples of bitotic components. 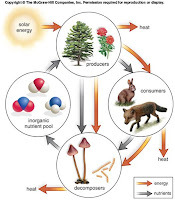 Figure 23.4 from the text illustrates energy flow and chemical cycling. a. illustrates loss of 90% of energy between trophic levels. 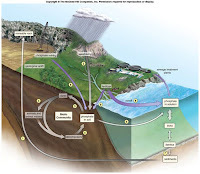 Figure 23.9 from the test illustrates the hydrologic cycle. 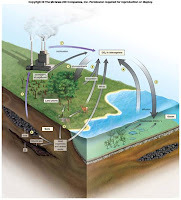 Figure 23.10 from the text illustrates the carbon cycle. e. human interferences - N2 fertilizers, runoff causes overgrowth of algae, rooted aquatic plants. Figure 23.15 from the text illustrates the phosphorus cycle. 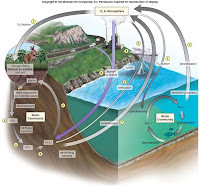 Figure 23.16 lists sources of surface water pollution. Definitions for Chapter 23 can be found here. Figure 24.1 from the text shows the human population growth. Figure 24.2 shows the age-structure diagrams for MDCs and LDCs. Figure 24.10 from the text shows several methods of conservation. 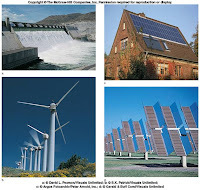 Figure 24.12 from the text shows 4 types of renewable energy sources. e. 5 most common synthetic organic cmpds - trichloroethylene, toluene, benzene, polychlorinated biphenyls (PCBs), and cloroform. f. synthetic organic chemicals - halogentaed hydrocarbons, used in production of plastics, pesticides, cosmetics, coatings, solvents...Chlorofluorocarbons (CFCs) - thinning of Earth's ozone. MDCs no longer use. 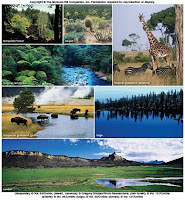 Figure 24.17 from the text provide examples of the direct benefits of wildlife. Figure 24.18 from the text shows several unsustainable activities. Definitions from Chapter 24 can be found here.